Guest Article: Standing vs Sitting for PC Gaming. As more and more people are working sedentary office jobs we are becoming increasingly aware of the damage caused by sitting in one place for hours can cause to our body. Businesses are taking this more seriously, with workplace wellness a top priority for many companies. The issues caused by back pain and other related conditions can impact on our lifestyles for years to come, so it’s not something to be taken lightly. While we’re aware of these risks at work, most of us gamers will quite happily sit in front of our PC to play for hours without a second thought. As more and more people become involved in PC gaming, the newest debate is should you play standing up or sitting down? While standing to play may feel a little unnatural at first, combining it with sitting on a good quality chair could be beneficial in the long term. A huge bonus of gaming on a quality standing desk is that you’ll generally be more alert and in the moment with your gaming. The increased circulation and reduction in pressure on your back will help you physically when compared to sitting for an extended play sessions. Standing desks also force gamers to be more aware of how much time they’ve been using gaming. If you stand for hours on end, you feel it and this makes you think about how you’re spending your gaming time. This will train you to make the most of your time, perhaps skipping more trivial parts of the game you would have done if you had been seated. Gaming stands are also extremely customizable and you can tailor one specifically to your needs. You can choose everything from building materials, height, and individual styles. There are negative points about using a standing desk, even a good quality one. The first and most obvious problem is personal comfort. Standing for extended periods of time gets uncomfortable, fast and will not resolve until you sit down. The second problem with standing desks is cord lengths. 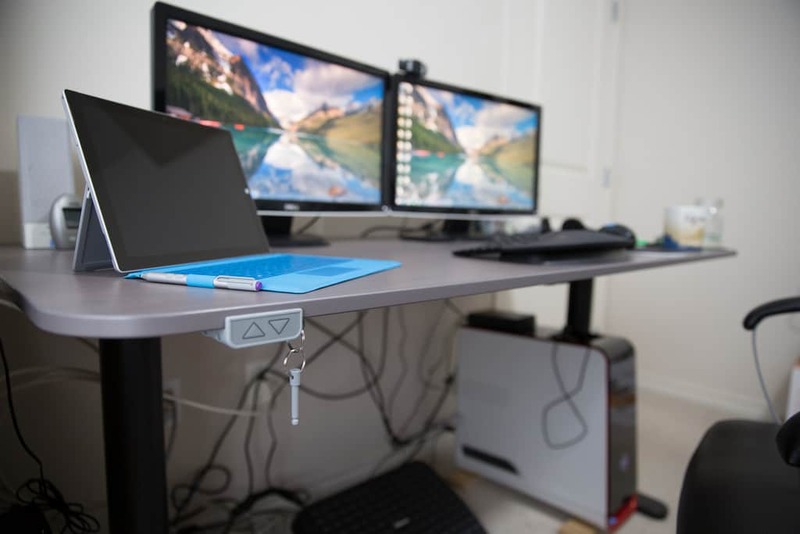 If you choose to game on a standing desk, you will be doing a lot of moving around, and the cords are not meant for that. You could be immersed in your game and find yourself being yanked back by your headphone cord. There are ways to work around these issues but it is completely dependent on the individual person and what they prioritize when gaming. The second option for gamers is a good quality gaming chair. 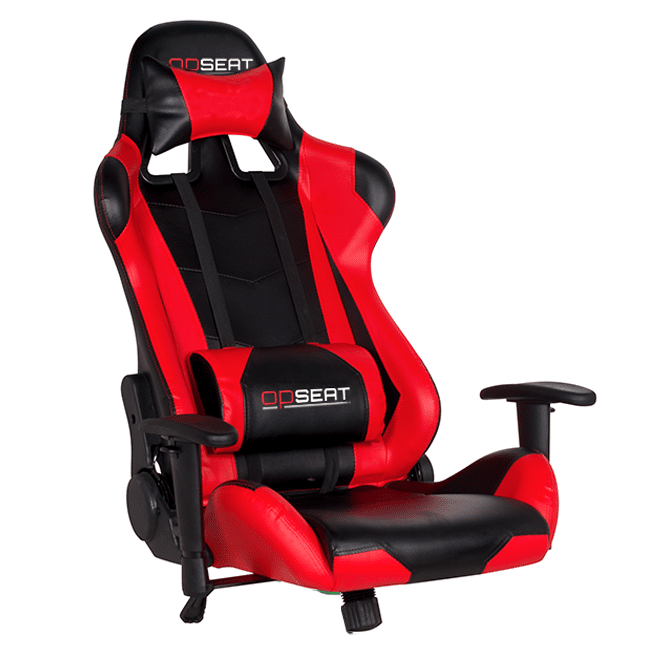 A gaming chair is exactly what it sounds like, a chair made specifically for extended periods of gaming. A lot of models now offer things like built-in speakers, swivel capabilities, and they force the gamer to have better posture. They also help with better circulation and help prevent neck and back problems, which is ideal for those late night sessions. There are some negative points for sitting while gaming, even while sitting in a good quality chair. Sitting for extended periods of time is linked to various health problems, and has even been compared to smoking when it comes to long term health risks. It can also lead to issues with the back, shoulders, neck, wrist and elbow, which will have an impact on gaming performance as well as your health. The debate over a standing desk or a gaming chair is pretty equally split. It comes down to personal preference in the end, along with how much you’re looking to spend. Both options have prices on both ends of the spectrum and both options have pros and cons associated with using them. Ideally you should mix it up as much as possible, which is obviously easier for some games than others. Be conscious of how long you’re sitting and take regular breaks to move around and you should minimise the risks associated with extended periods of play. Massive thanks to Craig from Opseat for the mini-article. 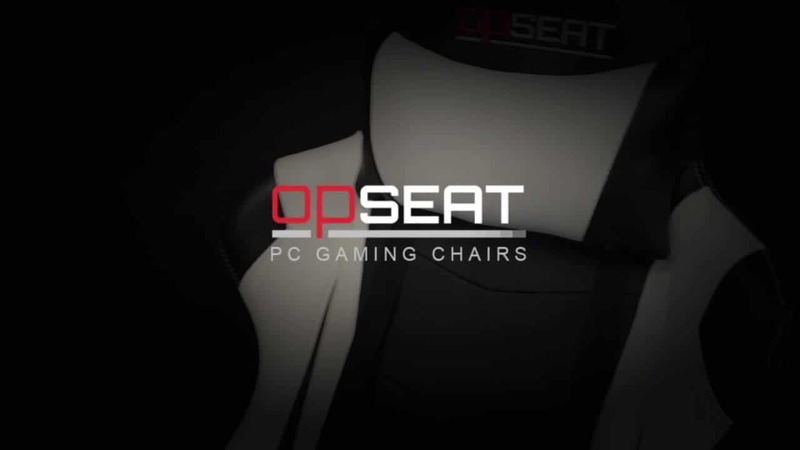 You can check out Opseat’s website here if you’re looking to improve your gaming posture. Lots of cool looking accessories to choose from!